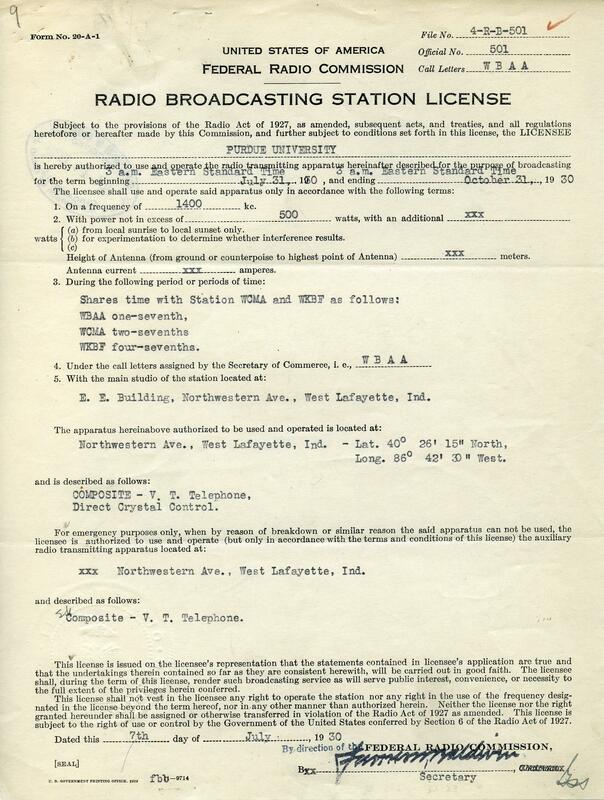 The earliest existing WBAA license. 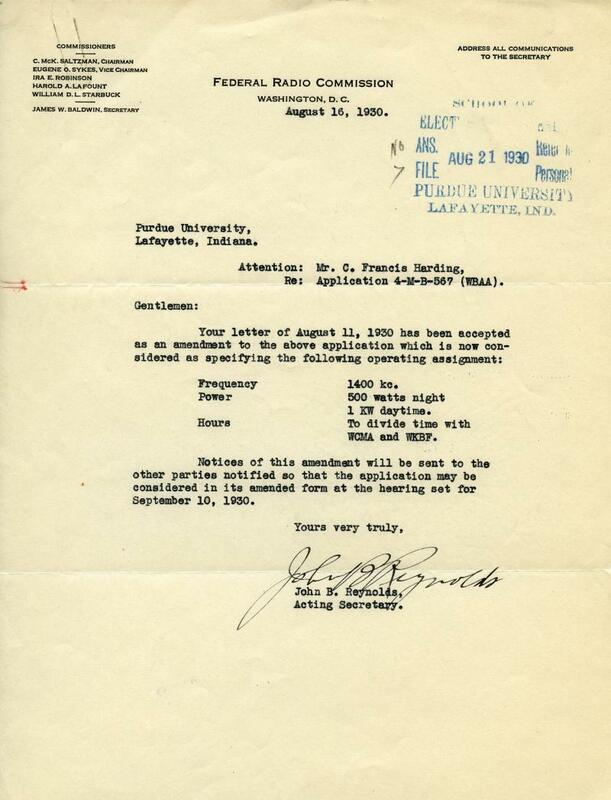 August 1930. WBAA submits an amended application for a new license to increase the daytime power from 500 watts to 1000 watts (1 kw). July 31, 1930 This is the earliest station license in existence at WBAA. None of the earlier licenses survived.